A modern and extremely WEB tool for massage business, manipulative and body-based practices that can be used by anyone with ease. It offers a number of features for organizing efficient and handy working web-schedule for specialists. It`ll store the information about patients, such as their address, telephone, email and comments. You can view the information about payments, daily income for any day at any moment when you need it. Creating staff rotas is taxing and time consuming. On Schedule the online scheduler makes it a breeze, saving you hours and money in the process. 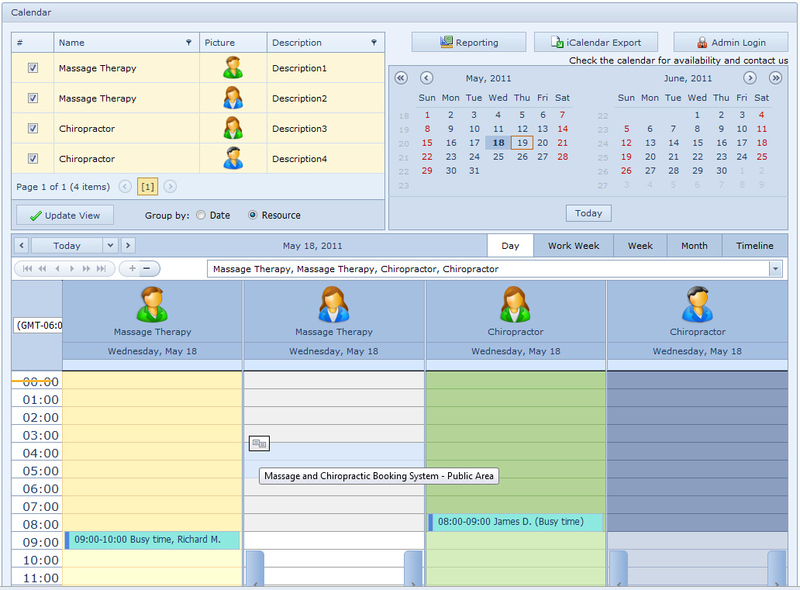 Plan schedules with a graphical view of the shifts, working hours translucently overlaying available. A free calendar program that can run from a USB stick and provide text-to-speech reminders of upcoming events. It can also auto-sync with Google Calendar, allowing you to see all your events on your Windows desktop, even when you`re offline.